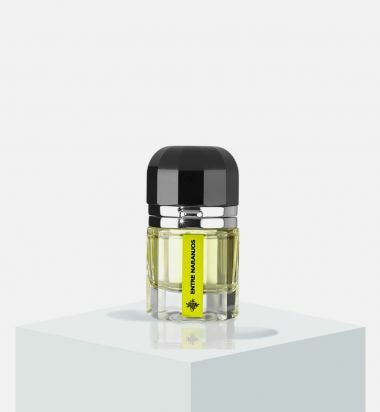 Inspired by the raw smell of patchouli leaves that I discovered with hippies in the sixties on the island of Ibiza and represented the first olfactory image that defined an attitude: provocation and freedom. Mon patchouly has become sophisticated, enriched with poetic sunsets on the sea watched from the Café del Mar; it is addictive and captivating for its power to convince and seduce everyone around. My olfactory language is largely based on essences extracted from wood. Of these the most rare and solemn is Indian agarwood —also known as oud, its Arabic name. A unique, powerful and almost magical scent with a great tradition in Arab culture. Given my penchant from the culture of Al-Andalus, I decided I should compose my own interpretation of this unique ingredient with a Western Mediterranean twist using also leather and musk. My balance. I believe that wood naturally conveys strength, protection, flexibility and prestige. The turn of the century led me to compose a modern olfactory image around these values. I combined accords of dry woods with fine spices to recreate the scent of the new millennium. An olfactory poem dedicated to the value of love. A Mediterranean composition to celebrate my son Óscar’s wedding. Happiness, intensity, joy, light, glow, affection and lots of excitement. Inspired by the bride’s white rose bouquet, because roses are the flowers of love. Memorable, feminine, resplendent, light and persistent. A harmonious, colorful, and elegant floral nectar accord with a festive tone, dressed in a dew covered green forest, pure and vital, surrounded by a rejuvenating breeze of ozonic air on a majestic and rich bottom accord of a noble amber and silky musk. White musk is one of the modern myths of perfume. It's one of my inalienable desires; it is the quintessential elixir. My revenge. 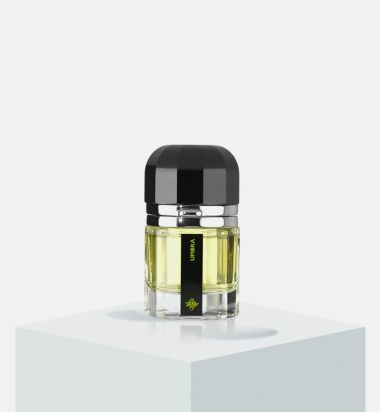 At the beginning of my training, the first classic accord I had to learn and replicate, without much luck, was the legendary floral tuberose with jasmine and orange blossom. I've now been able to regain that satisfying experience and to interpret the myth, reformulate the accord fragrance with my learned language. A shadow moves on the ground, comes to life sheltered from the sun and captures the essence of the different olfactory messages that plants give off growing on it with their flowers, fruits, leaves, wood, mosses, resins, roots, to combine like a true alchemist and develop its own perfume. A vintage fragrance paying homage to oriental perfumes from the beginning of the 20th century, with which I grew up and from which I learned so much at Myrurgia. Interpreted with traditional ambergris and vanilla in contemporary proportions and mixed with other state-of-the-art ingredients. To celebrate my fiftieth birthday and make it unforgettable for my guests, I recreated a courtyard of orange trees in blossom and imagined a light perfume with light and passion, inspired by the verses that the Andalusian poet Antonio Machado penned about an orange tree in one of his poems. My guests liked it so much that it ended up being the soul that gave life to my signature project.